1901 saw the introduction of Fiat's first commercial vehicle. Since then, commercial sales have become increasingly important within the activities of the Fiat Group. Thanks to its wide range, and over one hundred years of experience, Fiat Professional has become a leader in its sector. 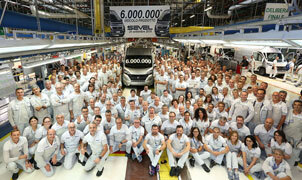 Fiat Professional vehicles are currently produced in 8 plants worldwide, including the Sevel factory in the Val di Sangro, where the Ducato is produced - the largest light commercial vehicle plant in Europe (in 2010 the plant produced its 4 millionth vehicle).